Visual Studio Code>Themes>Panda ThemeNew to Visual Studio Code? Get it now. Panda Theme for Visual Studio Code. A Superminimal, dark Syntax Theme. 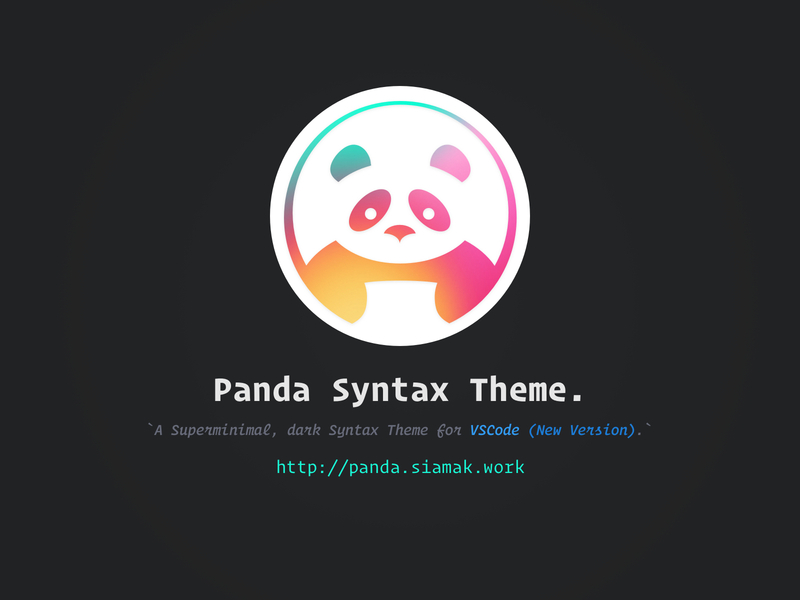 This is the latest version of the Panda Syntax theme. 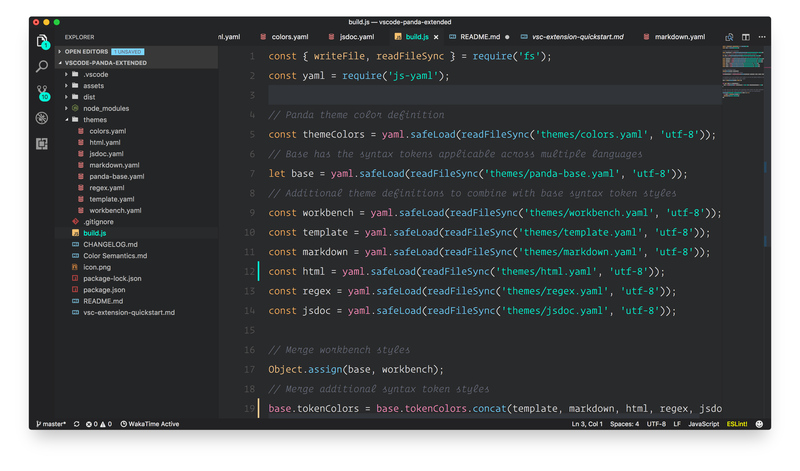 It's a dark syntax theme crafted especially for Visual Studio Code [New Version], with subtle colors that are meant to be easy on the eyes. 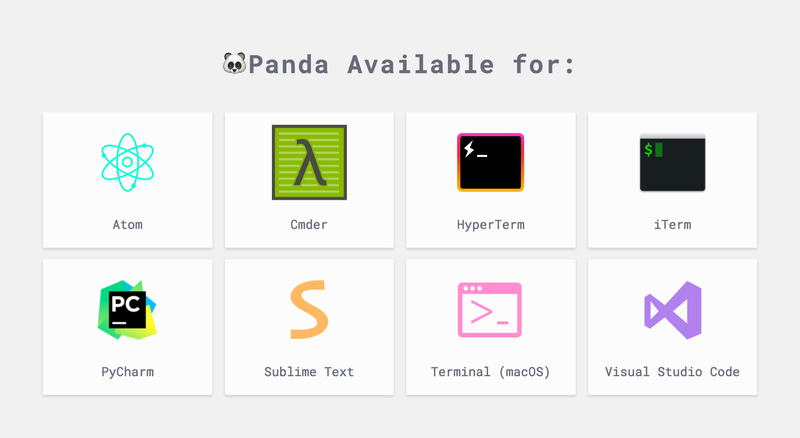 Search for Panda and install it. Go to Color Themes and choose Panda Syntax as the color theme or CMD + Shift + P and enter Command > color theme and choose Panda Syntax. Panda Created for Editors and Terminals. 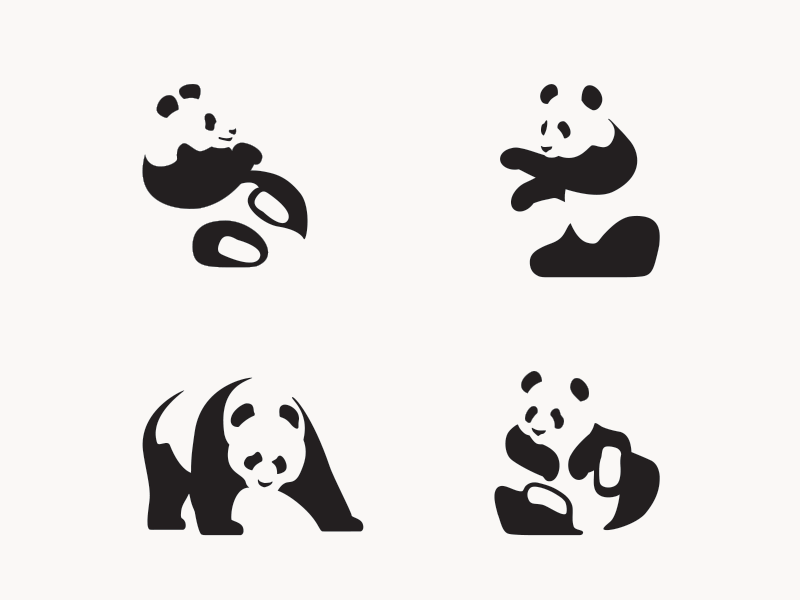 Panda Project. This repo if it's about color changes, first read Color Semantics and Change themes files.